Strike with confidence with our portable and discreet Rattle Pen. 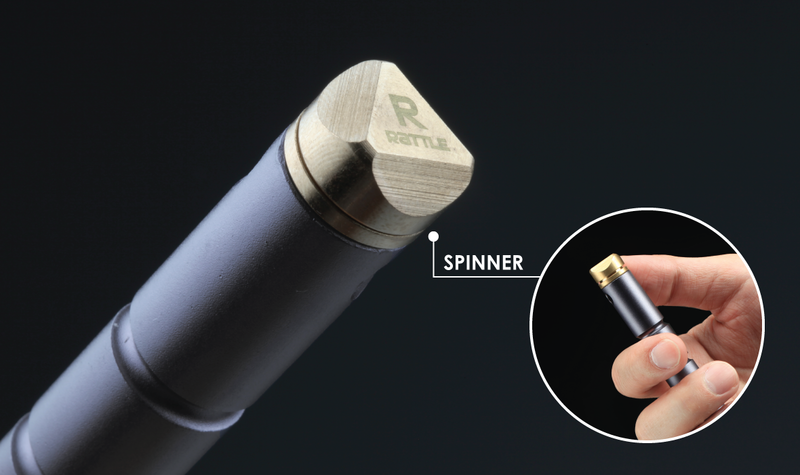 Created for everyday carry, this multifunctional tool gives you a self-defense weapon, fidget spinner and a pen all in one compact package. It can be easily carried in your pocket or purse and it is comfortable to hold if you ever find yourself in a self-defense situation. The kubotan is a self-defense weapon that has been around for many generations, which was first developed by Takayuki Kubota for the Los Angeles Police Department. It provides an effective tool for striking soft tissues and pressure points. 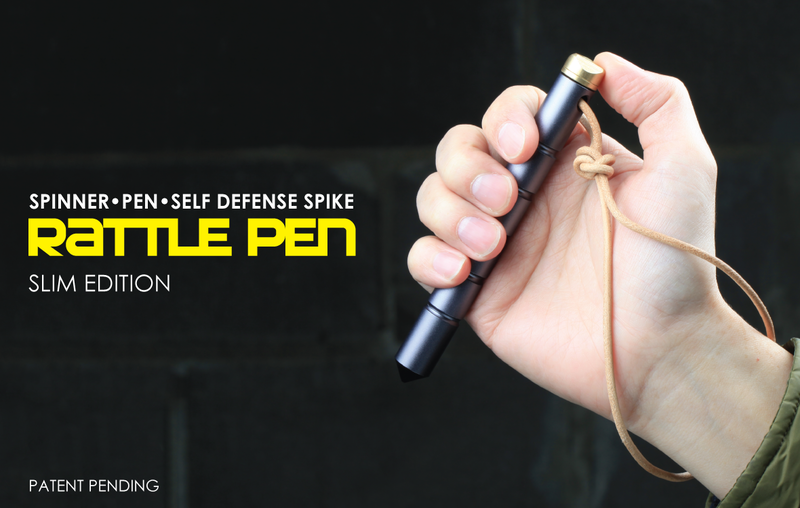 The kubotan offers you the added advantage of maximizing force while defending yourself against one or more attackers. 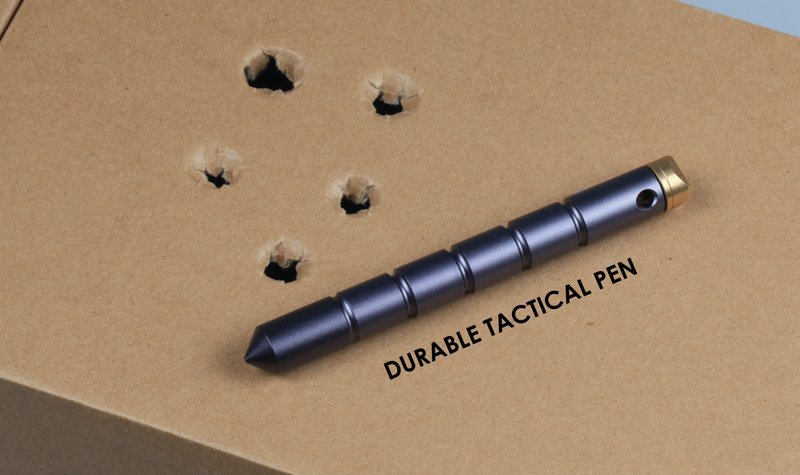 Made from T6063 aluminum, the Rattle Pen is lightweight, durable and rugged. Weighing in at only 2.5 ounces, the sturdy pressure tip can be used to concentrate your force into a smaller area to end or control a critical situation. The ergonomic finger grooves make it more comfortable to hold and it is designed to fit all hand sizes for both men and women. 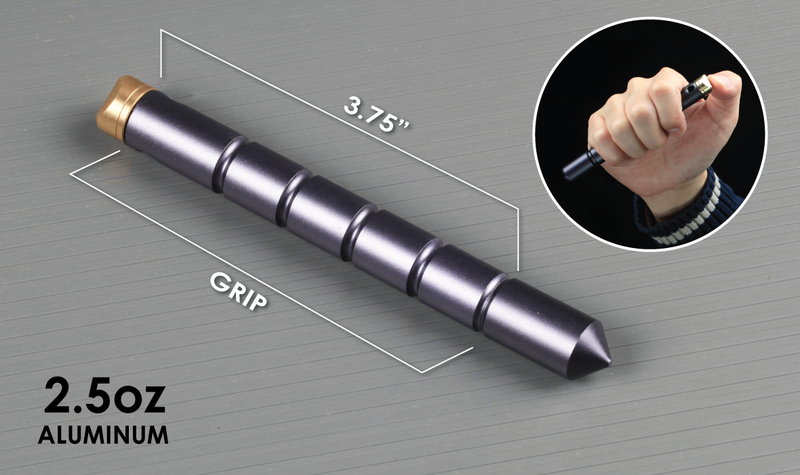 It fits perfectly in your fist for better grip and control over the Rattle Pen. 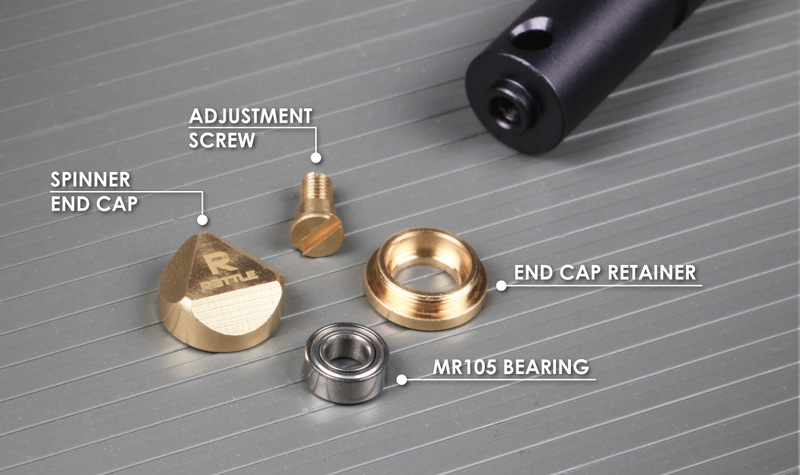 Unscrew the pressure tip to reveal the writing pen tip. 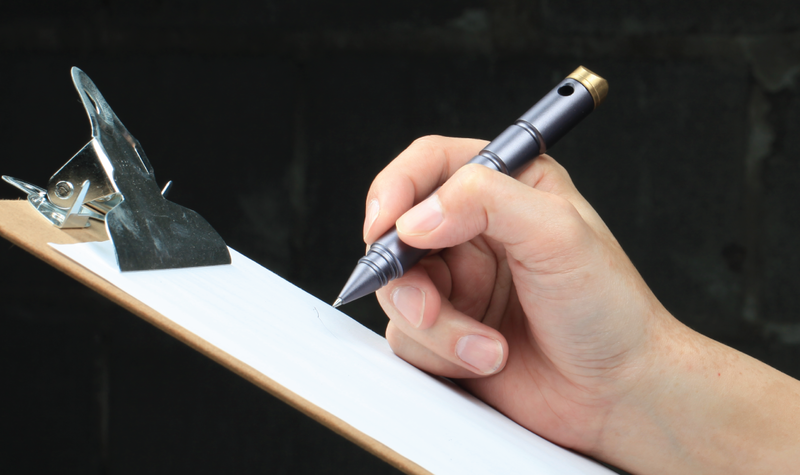 A threaded connection is used to ensure a secure connection with the pressure tip when you’re not using it as a pen. We use a replaceable Zebra 4C-0.7mm black ink cartridge. 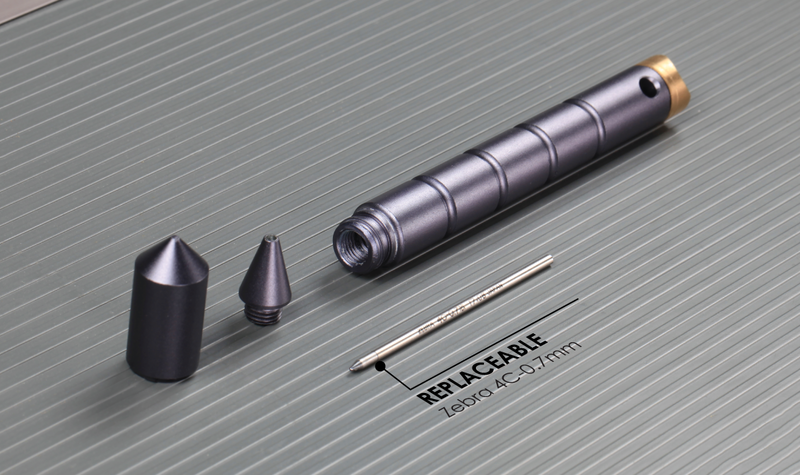 The smooth writing pen tip can be used to sketch, draw, or take notes wherever you are. Get long and smooth spins with the fidget spinner on the end cap. The smooth turning bearing allows you to spin the end cap to give you a soothing feeling when you have nothing else to do! 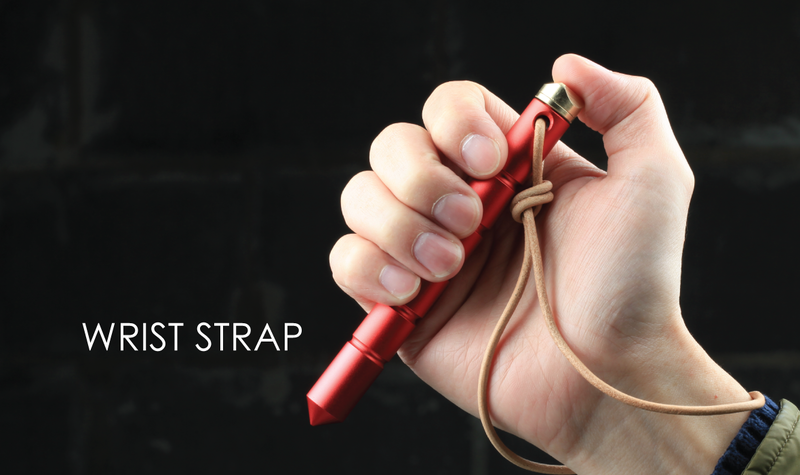 It is perfect for everyday carry due to the multifunctional usability of the Rattle Pen.